GLADSTONE says hello to its newest citizens, Danielle Crisp and her husband Dylan. The pair moved to town just a couple of months ago from Victoria where they were based for 11 months. Danielle said she's lived in a couple of states but is liking Queensland most. "Dylan and I used to work as FIFOs from Victoria to Roma as part of the Santos upstream project," she said. "Before that I was living in Western Australia and now Queensland which is great." 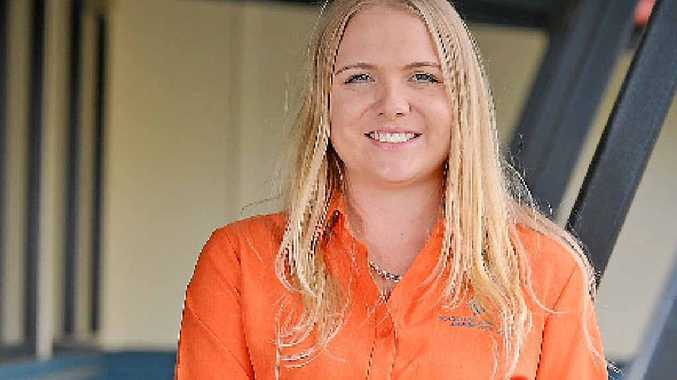 The reason for the move is a familiar tale - Dylan gained a QCLNG job on Curtis Island with Bechtel and Danielle found a place at Gladstone Area Group Apprentices (GAGAL). "I'm new to the support admin team which works with operations so it's similar to my old role of safety administrator," she said. "It's great the way it worked out - Dylan and I did it together." The pair packed up and here they are, which was a big step for Danielle. 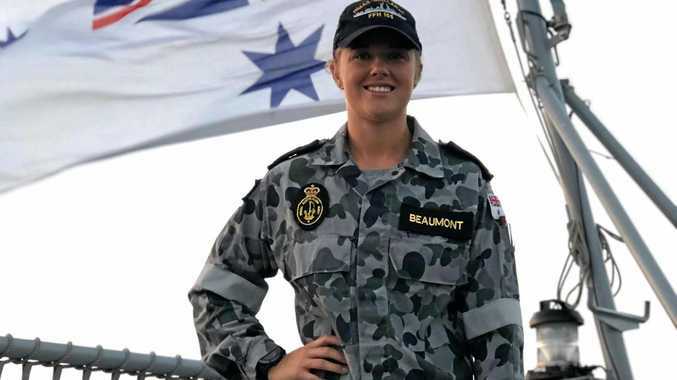 "My parents and sister and majority of the family is down there and I do miss them," she said. "But I don't miss the cold weather. "I went home for a short holiday last week and I forgot to take long pants and tops and I froze." Because of this the husband and wife duo aren't planning on a fleeting visit. "We're going to stay here long term," she said. "We live out at Tannum Sands; it's too good to go back home and after 11 months of FIFO life, I'm over it. "It's so cool to have a 9-5 job." Which leaves more time for hobbies on the weekend. "I love camping, the outdoors and Dylan and I like to take the boat out and see as much as we can," she said. "Next trip will be Biloela and Banana." To cement their new life in Gladstone, they're also in the process of bringing up their dog.